There are some mitigating circumstances, e.g. legacy systems, breadth of services offered, multiple organisations within one, but there were some very clear differences between the traditional banks and the challengers. The challengers obviously have an advantage in being able to start from scratch and build from the ground up. However, the biggest differentiator would be a digital-first mindset and recognising that this stretches across the entire organisation. Yes, some do experience problems but they are able to communicate directly with their customers. By comparison, the first you know when something is wrong with your traditional bank service is when you try it and it doesn’t work. The challengers push messages directly to customers via their apps, keeping them informed in real-time. There is no deluge of paperwork, no expectation that once you have “opened” your account online that you should travel to a branch with your identity documents and proof of address, or post your signature to them before it can be activated and transacted upon. The traditional banks continue to make large profits and the UK banking sector has yet to be disrupted by the FinTech scene but that day is coming. The neo banks are attracting greater numbers of millennials and other customers to the accounts and will grow the breadth of their services. As they grow older and increase their spending and investment power will they switch back to the “old way” and service providers. Making it quick and easy to sign-up and on-board customers is a big differentiator with potentially long-lasting benefits and it will be interesting to see whether the lessons are learned. 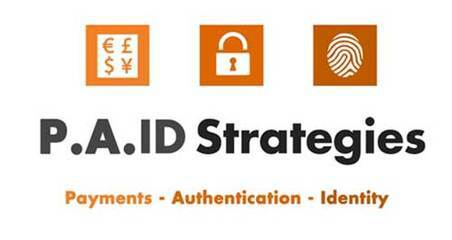 *P.A.ID Strategies published its whitepaper on the assessment of UK banks in November 2017, which has been exclusively licensed by Mitek. Download the white paper.